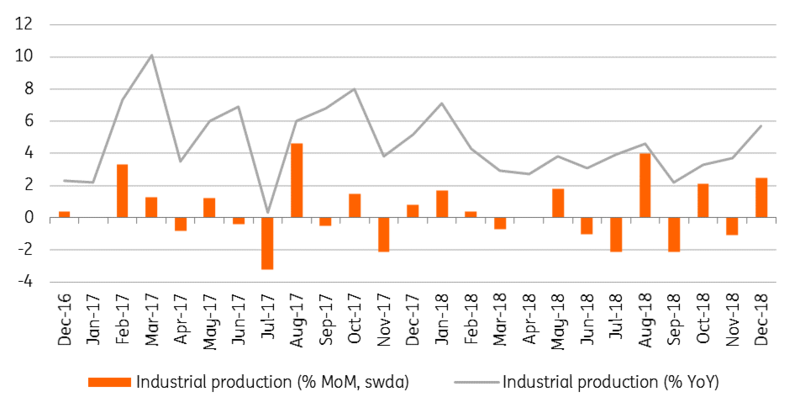 After a big disappointment in November, industrial production showed something which hasn't been seen since January 2018 - growth above 5% YoY. The strong finish is definitely adding to the raft of positives before next week’s 4Q18 GDP release. Aside from that, it is not just about the scale of improvement, but the timing is also surprising as the winter holiday season is usually rather weak. 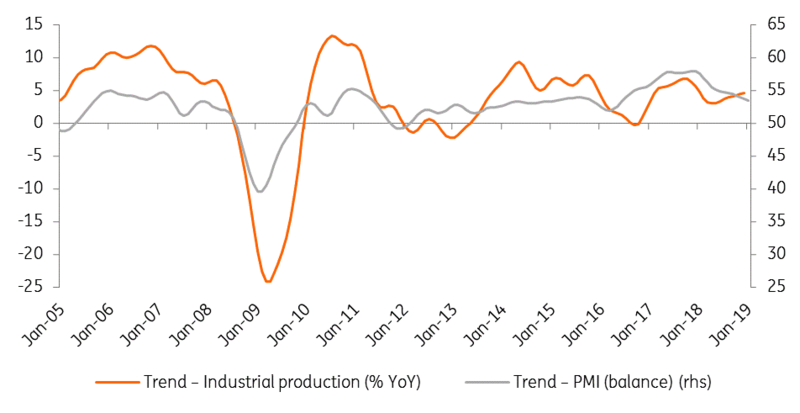 In the meantime, we saw German industry suffering losses, and the Hungarian manufacturing PMI also points towards a deceleration. Our best guess which might explain this improvement in the past couple of quarters is the combination of new capacities, higher productivity and fading distortion in the car manufacturing industry. 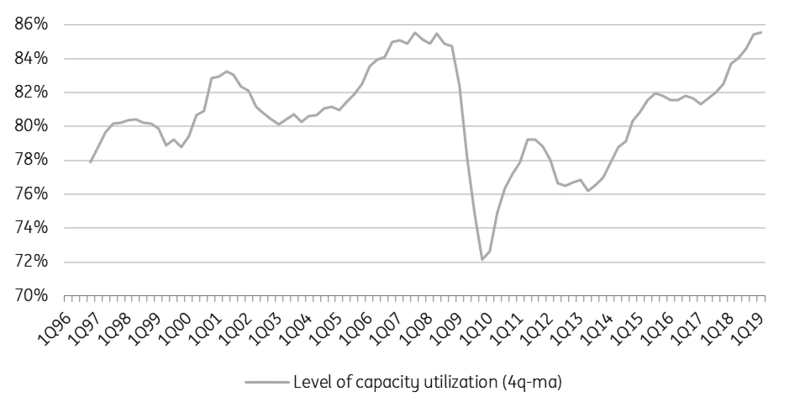 These effects might be seen in the level of capacity utilisation, which reached a historical peak at the end of 2018. The details show the majority of the subsectors posted strong readings, but the car and electronics manufacturing industry stole the show proving again that these two main subsectors’ performance is essential for the Hungarian industry. But at the same time, it also shows the weakness of the sector as it is way too concentrated, and with an expected downturn, the industry is really vulnerable. However, we are still optimistic in the short run, as we expect domestic demand to remain in the driving seat and we don’t want to read too much into the PMI readings. 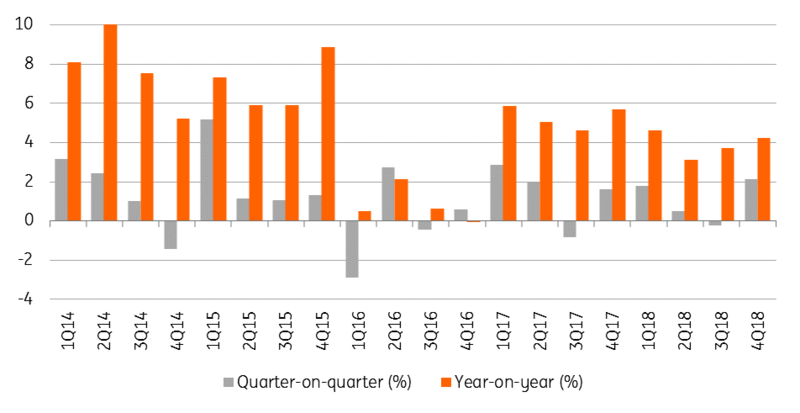 Moreover, with new capacities, we see a 4-5% growth rate on average, but the first quarter will be rather weak because problematic wage negotiations have turned into strikes at some companies.